What Is the Native American Sun Dance? Sun worship is a custom that has gone on nearly as long as mankind itself. In North America, the tribes of the Great Plains saw the sun as a manifestation of the Great Spirit. For centuries, the Sun Dance has been performed as a way to not only honor the sun, but also to bring the dancers visions. Traditionally, the Sun Dance was performed by young warriors. The Sun Dance has been performed by young Native American warriors as a way to not only honor the sun, but also to bring the dancers visions. In the U.S. and Canada, laws were passed to outlaw the Sun Dance, to force Native peoples into assimilating with European culture. Today, many Native American tribes still hold Sun Dance ceremonies, many of which are open to the public as a means of educating non-Natives about the culture. According to historians, Sun Dance preparation amongst most of the Plains peoples involved a lot of prayer, followed by the ceremonial felling of a tree, which was then painted and erected at the dancing ground. All of this was done under the supervision of the tribe's shaman. Offerings were made to show respect to the Great Spirit. The Sun Dance itself lasted for several days, during which time the dancers abstained from food. On the first day, prior to beginning the dance, participants often spent some time in a sweat lodge, and the painted their bodies with a variety of colors. Dancers circled the pole to the beat of drums, bells, and sacred chants. The Sun Dance was not held solely to honor the sun — it was also a way of testing the stamina of the tribe's young, unblooded warriors. Among a few tribes, such as the Mandan, dancers suspended themselves from the pole with ropes attached to pins that pierced the skin. The young men of some tribes lacerated their skin in ritualized patterns. Dancers kept going until they lost consciousness, and sometimes this could go on for three to four days. Dancers often reported having a vision or a spirit walk during the celebration. Once it was over, they were fed, bathed, and — with great ceremony — smoked a sacred pipe in honor of the Great Spirit's manifestation as the sun. In the U.S. and Canada, as colonization expanded, laws were passed to outlaw the Sun Dance. This was intended to force Native peoples into assimilating with European culture, and to suppress indigenous practices. "The sun dance was outlawed in the latter part of the nineteenth century, partly because certain tribes inflicted self-torture as part of the ceremony, which settlers found gruesome, and partially as part of a grand attempt to westernize Indians by forbidding them to engage in their ceremonies and speak their language. Sometimes the dance was performed when reservation agents were lax and chose to look the other way. But as a rule, younger generations were not being introduced to the sun dance and other sacred rituals, and a rich cultural heritage was becoming extinct. Then, in the 1930's, the sun dance was relearned and practiced once again." In the 1950s, Canada lifted its prohibition against Native spiritual practices such as the Sun Dance and the potlach. However, it wasn't until the late 1970s that the Sun Dance became legal again in the United States. 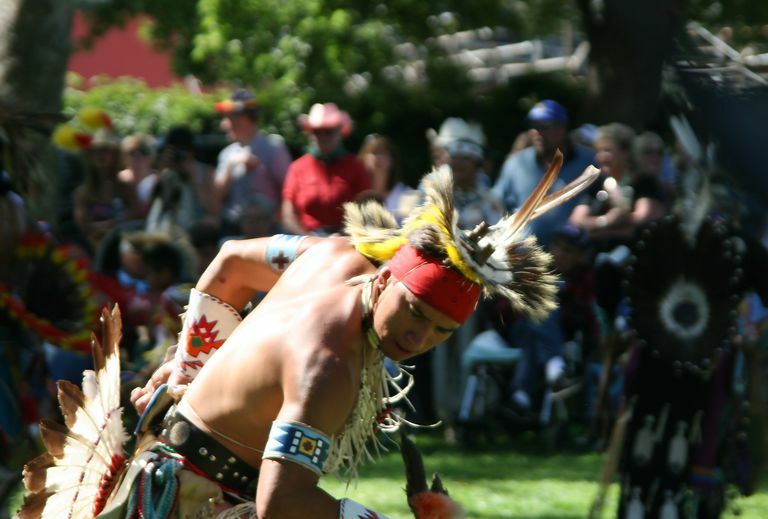 With the passage of the American Indian Religious Freedom Act in 1978, which was intended to preserve the cultural and spiritual legacy of Native peoples, the Sun Dance once more was legally permitted in the U.S.
Today, many Native American tribes still hold Sun Dance ceremonies, many of which are open to the public as a means of educating non-Natives about the culture. If you get the opportunity to attend one as a spectator, there are a few things to keep in mind. First, remember that this is a sacred ritual with a rich and complex cultural history. Non-Natives are encouraged to watch respectfully, and even ask thoughtful questions afterwards, but should never join in. Also, keep in mind that there may be parts of the ceremony — including but not limited to aspects of the preparation — which are not open to an audience. Be mindful of this, and respect boundaries. "Some people have great difficulty understanding and appreciating the tearing of flesh that takes place in the Sun Dance. Many cannot understand that there are higher values for which health is to be sacrificed." What is the Summerland in Wiccan Belief?